Mobile phones have a market model that most people can wrap their heads around. In exchange for 24 months of guaranteed service, mobile providers will furnish you with the latest handset for free (or for a few dollars a month). The long contract offsets the price of a device that would otherwise cost you hundreds of dollars to buy upfront. With ADSL2+ broadband services, the relationship between hardware and contract length is less clear. Many providers still want to commit you to a 2 year contract, in exchange for a modem that would cost you about $100 retail. And for many people who have had a broadband connection in the past (or are coming from another provider), the equation is even more unappealing – you already have a modem, why commit to another 2 years for a piece of hardware that duplicates something you already own? Not everyone gets that a modem/router is an unglamorous, functional piece of hardware. It’s more akin to a toaster than a mobile phone, in that a good one should last years and upgrading will offer little benefit unless standards have changed or your old one goes on the fritz. A modem/router is something that sits in a corner near the phone line, blinking away and only getting a look-in once in a while for a reset, or for when the cat needs a hot spot to lie down. With that in mind, many service providers now offer short contracts with no modem included, to attract people who want more flexibility, or are on short term leases, and who otherwise have the hardware already. It’s similar to the market for SIM only mobile plans (for people who don’t need a handset) or even items like the Mac Mini, a cheap Apple PC that is just a brick, with no screen, mouse or keyboard, ready for people who already have that stuff and just want to switch to a Mac. To clarify: the modem is the device that plugs into your phone line, takes in the electrical signal, and turns it into something your computer can then understand. “Modem” is a word made up of MOdulator and DEModulator. ‘Modulation’ is the act of turning raw data into transferrable digital bits and pieces; so the modem MOdulates the data you send, and DEModulates the data you receive. 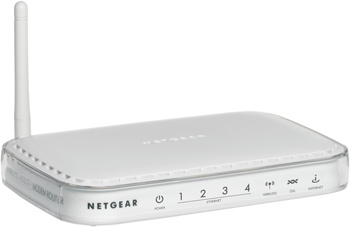 A router is a device that takes that connection from the modem, and acts a multi-adaptor for many connections. Wi-Fi is a short-range wireless technology that allows devices within 50 metres or so to connect to your modem, share the internet connection, and also share other resources (like printers and hard drives). So, a Wi-Fi modem/router is an all-in-one device that gets your connection, and then routes it wirelessly around your house. It’s what most people are looking for when they want ‘Wireless ADSL2+’ or ‘Wireless Broadband’. It’s easy to confuse with Mobile Broadband, which is a modem that connects wirelessly all the way to a mobile tower, receiving its internet feed from there. What do you mean by ‘reconfigure’? Many modems are not built to meet the needs of a particular service provider. They’re made and sold as common pieces of equipment for anyone to buy from a JB Hi-Fi or Harvey Norman. So when Telstra home internet gives you a modem with your contract, it comes pre-configured with details relevant to the Telstra connection – but you can easily go into the settings of your modem and change some of those settings to work with your new service provider. Even if you see Telstra or Optus branding all over the page, you can ignore all of that and cut straight through to the stuff that matters. Note – these are for basic settings. Many re-badged modems have had advanced port forwarding settings locked out, which requires a good deal of technical knowledge to overcome. This is for simple reconfigurations allowing for basic connections. Note 2 - Many technical support teams are trained to deal with some modems that they don’t offer, so it’s always a good idea to check with technical support as well, if this guide doesn’t help you. For the last 5 or 6 years, Telstra has used modems manufactured by 2Wire and Technicolor. The 2Wire ones are very common, and most technical support teams are experienced in reconfiguring them. The ‘Telstra Home Network Gateway’ is not available for retail sale. Telstra was the only firm in Australia that sold them, offered for free on their old bundle plans from 2007. They are manufactured by 2Wire, which is now owned by British electronics firm Pace. 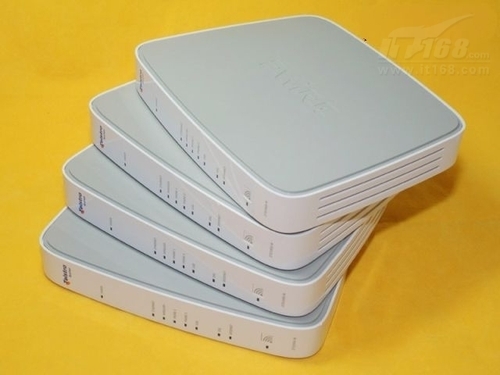 Sidenote – Pace also make many models of set-top-unit for Foxtel internet. 1. Open your browser (Firefox, Internet Explorer, Safari or Chrome). 7. In the username and password field will be your old Telstra email address and password. Change these to the relevant details with your new service provider, and then click ‘Save’ down the bottom. 8. Wait for the modem to re-authenticate. Takes 2 minutes. If you want to make double sure it will work, turn the modem on and off again, or unplug it and plug it back in. This has been sold through Telstra for a year or so, and it’s an exceptional piece of kit. 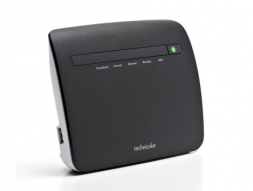 It supports all Wi-Fi speed profiles, multicasting, IPV6 and gigabit Ethernet. All of that is gravy for people who know how to use it; otherwise, just be happy you have a modem that will be top-of-the-line for the next 5 years or more. Technicolor used to be Thomson, a French 150 year old multi-national. They changed their name recently to better crack the US market, where their ‘Technicolor’ film technology was their only product with household recognition in the US. They also now own RCA, one of the very oldest electronics firms (you know those red-white-yellow cables for your TV? Those are called RCA cables). 8. In the username and password field will be your old Telstra email address and password. Change these to the relevant details with your new service provider, and then click ‘Save’ down the bottom. 9. Wait for the modem to re-authenticate. Takes 2 minutes. If you want to make double sure it will work, turn the modem on and off again, or unplug it and plug it back in. Optus internet plans have been using this Netgear Wi-Fi modem/router for a while now, which it offers free on almost all plans. As such, it’s not the most fantastic modem – but it will do the job. Unusually for Optus, they’ve actually locked this down more than Telstra have with their modems. It can be unlocked, but takes a little work. Netgear itself is a big US network equipment firm, with most of its stuff made all over the place. Or in other words, China. Netgear modems, like Netcomm modems, have a 'standard kit' quality to them. Connect via an ethernet cable. - Disable the Configuration Assistant & clock Apply. 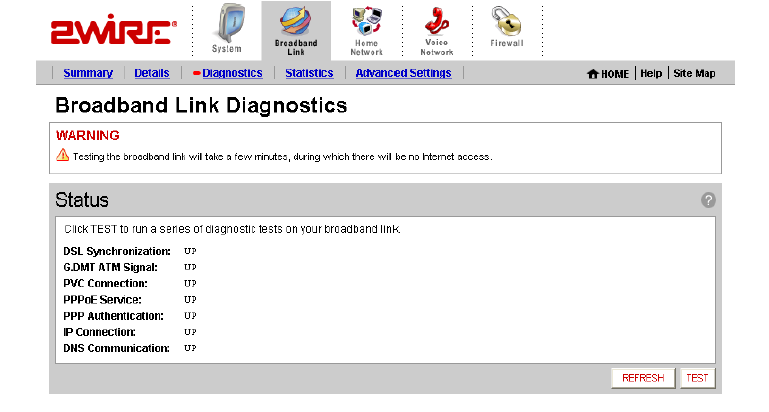 - Once the modem has restarted, browse to http://10.1.1.1 and log in. - Enter your username & password for your new service provider and click Apply. This is normally the full email address. iiNet developed the BoB line of modems to be more than just a router. The first one was a rebranded Belkin, and they have just about every feature you can shake a stick at, including advanced VoIP configurations. They’re also quite gorgeous to look at. But a lot of people don’t use 99% of the features in the BoB, and just need a Wi-Fi modem. Luckily, iiNet are pretty good at allowing the modem to be used with other ISPs, with no drastic steps to overcome. Belkin’s own N-300 modem is the retail, non-branded equivalent of the first BoB, and adheres to the same commands. iiNet developed the Bob Lite themselves, including the hardware. Same goes for the Bob 2. For all three of these units, the log-in page is the same. As you can see, the principles are the same. With a few exceptions, most modem/routers that have been provided for free with your ISP in the past can be reconfigured for use with a new service provider. All you need on hand are the username and password details for your new ISP, and the browser address your modem can be reached at. Worst case scenario, the manufacturer can be reached by phone for these details. Click here to learn more about the NBN.